It is while driving along the docks, between the Rhoe River and the battlements, you will enter the majestic City of the Popes, a UNESCO World Heritage listed city. After a walk on the famous Saint Benezet Bridge, built in the 12th century, you will join the monumental Palace of the Popes, a papal residence of the 14th century. 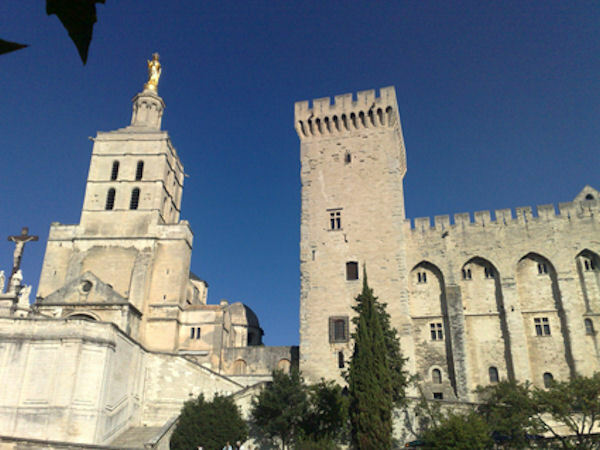 You can then enjoy free time to explore Cathedral Notre Dame des Doms and the many cobblestone alley ways of Old Avignon. Remember to bring your camera. Entrance fees are not included in this tour.